Benin Republic (Originally ruled by the kingdom of Dahomey) through a treaty signed by Glele during his rule in May 19, 1868 was ceded to France before the French Navy occupied the city in 1883 to prevent the British from conquering the area. 58 years after gaining independence, a lot of things have obviously changed as Benin republic has had to undergo rapid phases of development largely due to the invasion by the French. 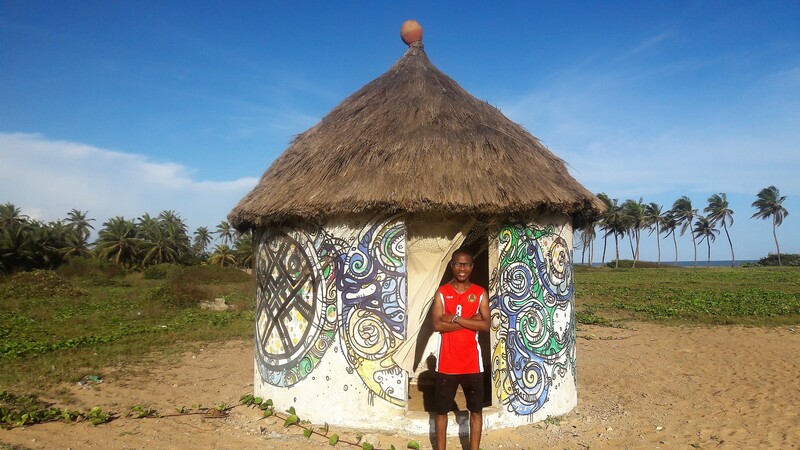 I paid a very close attention to the City of Cotonou during my weekend getaway and did a mental comparison between its fascinating peculiarities and that of Lagos- Nigeria’s most popular city. Here are 10 Unbelievable ways Cotonou is different from Lagos. 1. 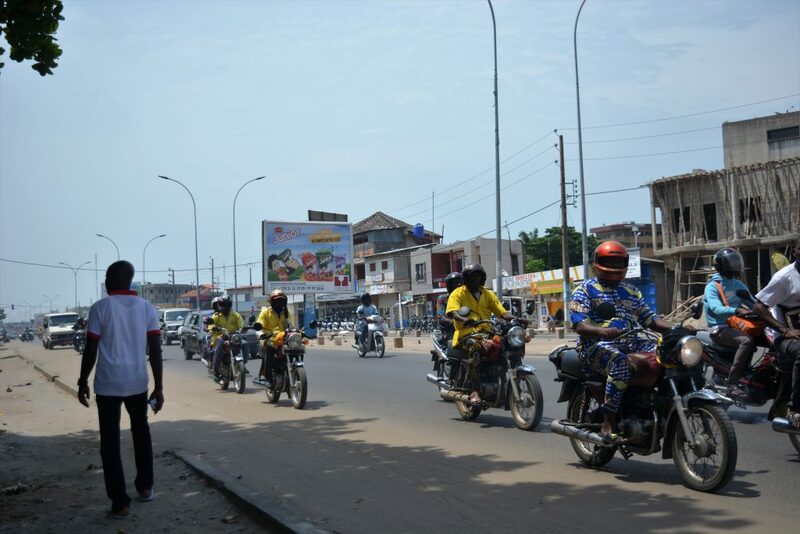 Bikes (popularly called Taxi-Moto) is the most popular means of transportation in Cotonou. Though there are private cars, tricycles, buses and taxis, but the volume of Taxi-motos far outnumbers them. A typical Taxi-moto parked beside a typical public bus in Benin republic. 2. The official uniform for bikers is either green or yellow. This contributed immensely to the appeal it brought to the highways in general. And more ladies ride bikes compared to Lagos. Though I didn’t encounter any commercial female biker, I saw tons of ladies ride bikes comfortably and as good as their male counterparts. 3. The use of helmets is common. 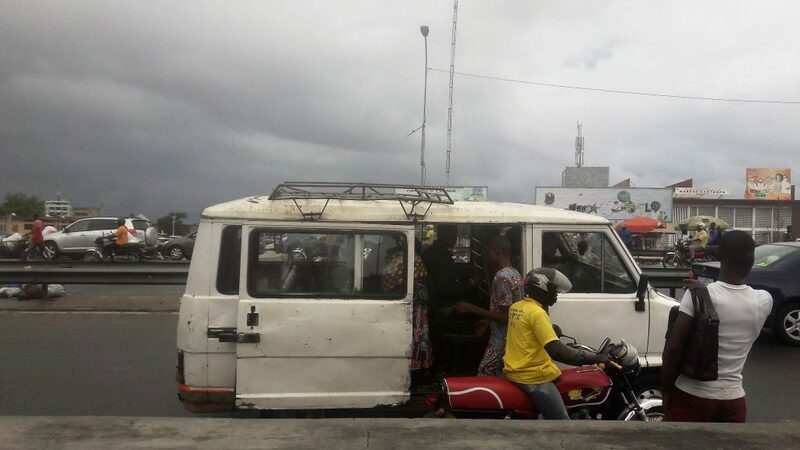 In Lagos, riders use helmets to evade arrest and pull it off once they away from traffic authorities, but in Cotonou, bike riders seemed to know the importance of using helmets every time they are on the road. 4. The number plate of vehicles and motorcycles in Cotonou have just 6 characters, making it very appealing and easier to memorize. 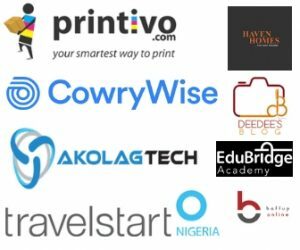 Compared to that of Lagos with as much as 8 characters. 5. 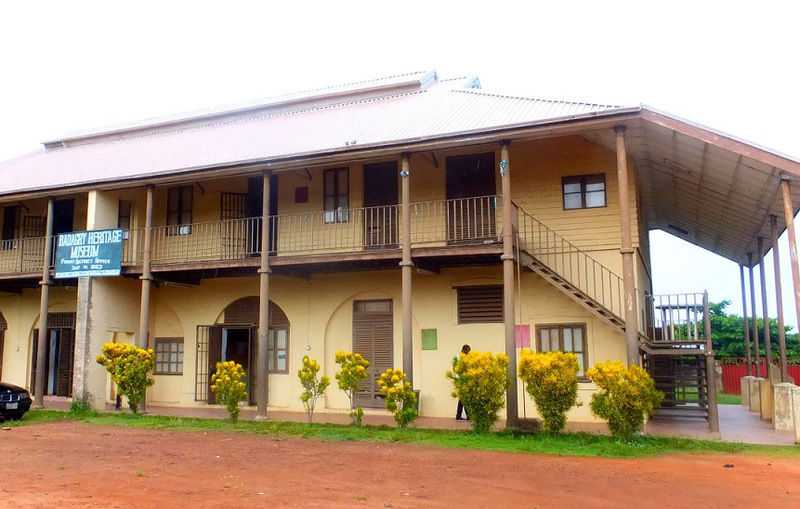 The CFA is the standard monetary unit in Benin republic. This colourful bank notes and coins Popularly pronounced as ‘sefar’ are weaker to the Naira at the rate of 1.50 CFA to 1 Naira. 6. 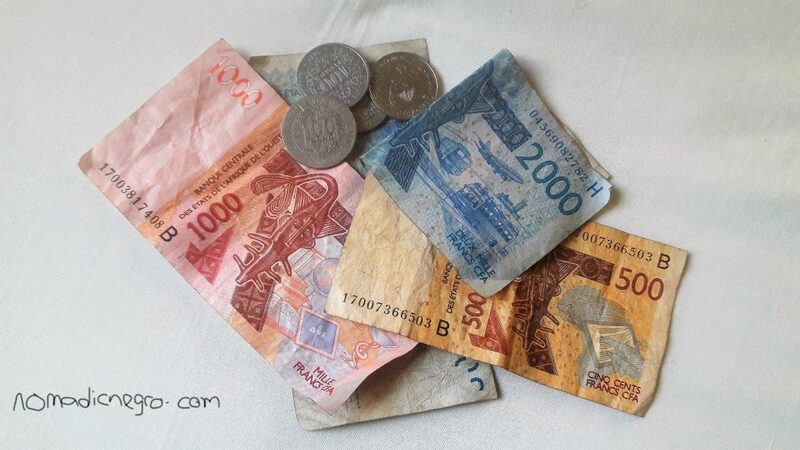 Coins are still very much in use and the highest denomination of coins is 500 CFA and the lowest coin being 50 CFA. 20,000 CFA is the highest bank-note in Benin Republic. 7. Unlike what is a major practice in tons of countries around the world, There are no images of any national hero on any of the currencies in Benin Republic. This I suspect is due to the fact that the CFA is jointly spent by 14 countries formerly ruled by the French. 8. The official language is french Fon, Egun and Yoruba are popular indigenous languages used in Cotonou. It was a bitter-sweet experience for me to cope with buying things and asking for directions as a large fraction of the people speak French. 9. If you’ve been used to the 1 minimum year down-payment style of house letting in Lagos (a style I think adds to the accommodation problems in the city), it’s kind of different in Cotonou as landlords popularly let houses for as short as 1 month like what’s obtainable in Europe. Most of these houses too are already furnished, needing you to only bring in few personal belongings. 10. Almost all the buildings in Cotonou are roofless (let me put it at 9 out of every 10), unlike in Nigeria where roofing is popular. Most houses use these roofless tops creatively for stuffs like gym, mini swimming pools, laundry lines etc. 11. In Cotonou, you’d get taxed if you paint your building. Everyone is advised to use tiles instead. So stop wondering why the best tilers in west Africa are from Benin. This is kind of funny but it’s true. 12. 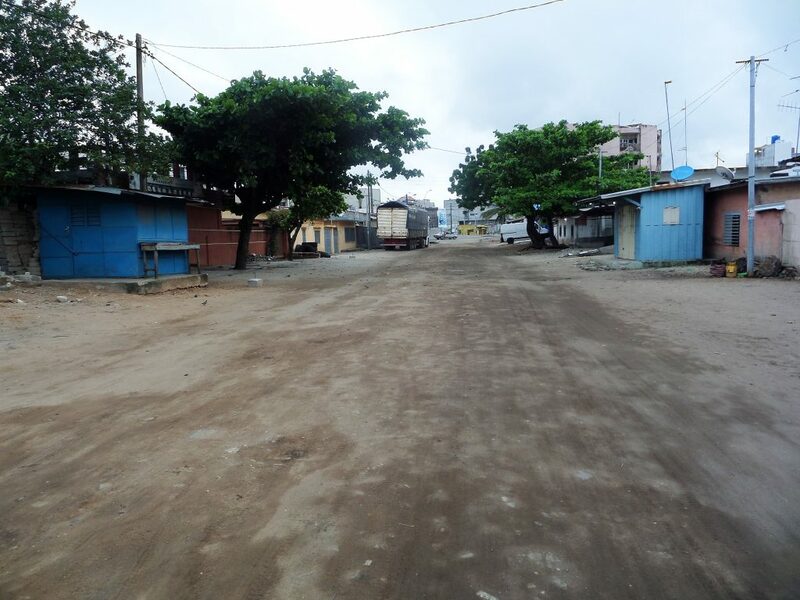 Compared to Lagos, the streets are generally wider and mostly untarred. hardly will you also find streets with Gutters. 13. 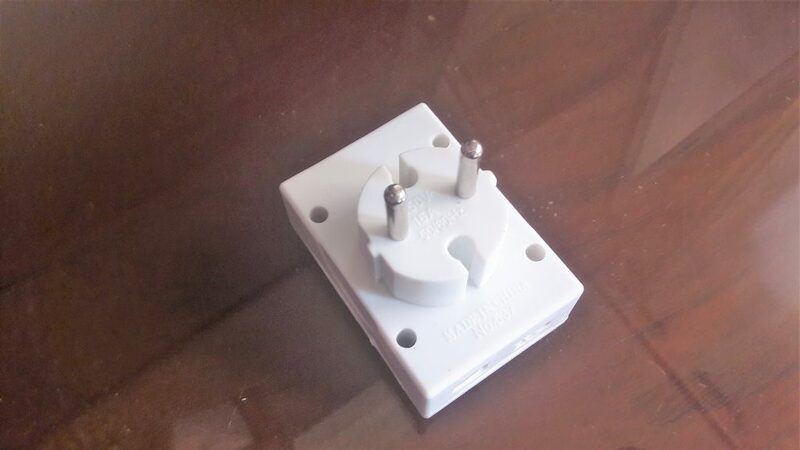 The electric socket in Benin Republic according to world standards is of the type C / E which is of 220V, 50 Hz compared to that of Nigeria which is type C / E of 230V, 50 Hz. I had to spend 200 CFA in getting a multi socket plug to enable me use my laptop. 14. There’s as many churches as there are mosques and shrines. The funny thing is that there is s huge catholic church right in front of the popular Snake Temple in Ouidah. 15. Pubs and strip clubs are almost available in every corner. I was at one of the clubs on my first night and unlike the shanawole and casket lifestyle of the Lagos club houses, things are far more calm and serene in Cotounou. I wasn’t too surprised when more than half of the songs played are from Nigeria, same thing in Accra. 16. Ankara is the official wear. there’s no such thing as preserving it till Fridays and Owambes. 17. It’s obvious the country isn’t rich but have managed to remain modest. 18. 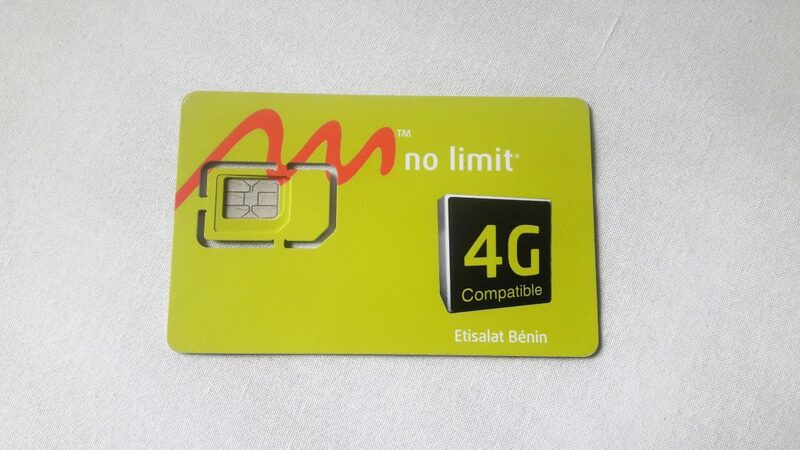 The most popular bank is Bank of Africa while The most popular mobile telecommunication network is Moove, closely followed by MTN and far behind is Glo. 19. Suya sellers are neater, but might need to ask for tasting before you’re being spared a slice. and instead of newspapers, thick brown papers are used instead. 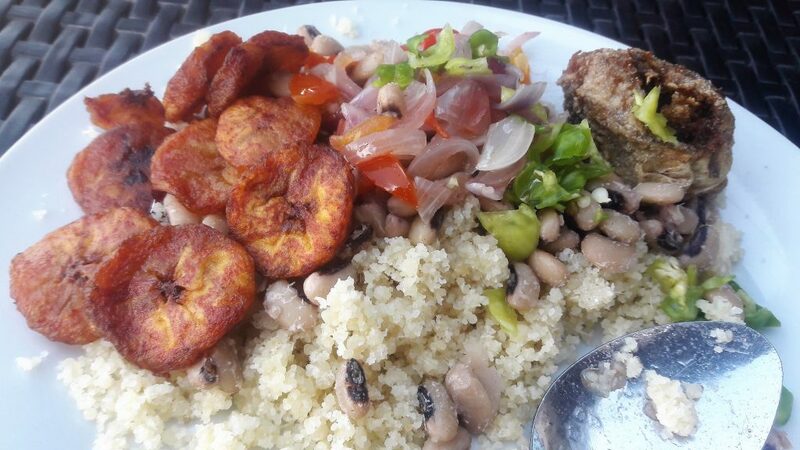 Acheke: A combo of cassava grains, Fish, vegetable and beans. Baguette: the most popular of them. here’s a video of me buying one. Did you find this insightful or interesting? Please I’d love to read your opinion through the comment box below. I’d also like to befriend you on Twitter and Instagram.